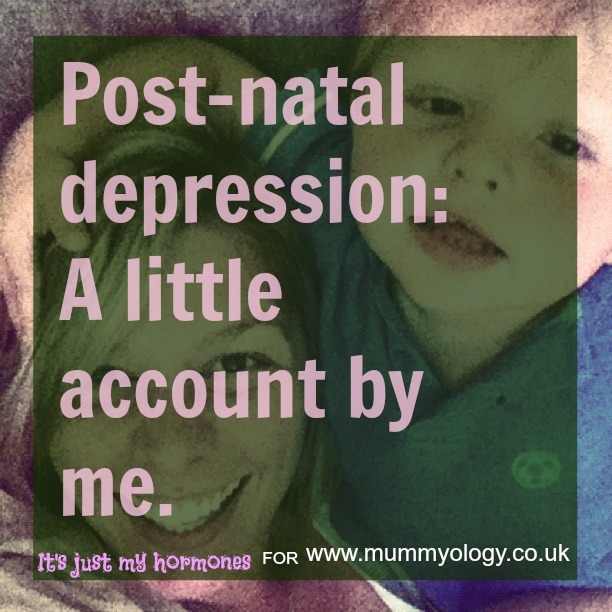 During my pregnancy, if there was one thing I was sure of, it was the absolute concrete fact that I would be completely immune to post natal depression. Although we hadn’t conscientiously planned to make human life, and the discovery thereof was a massive shock, all throughout my pregnancy I couldn’t believe my luck, couldn’t stop telling my stomach that I loved it, and couldn’t wait to meet what eventually became Sonny John. Nothing could be less likely than me getting PND. I was more likely to give birth to a mermaid. I was more likely to give birth, stand up, call a cab, return home and set about making Ed some dinner. I was more likely to give birth, hop on a bike and do a couple of hours cardio in the gym. I was more likely to write a blog post with zero similes in it. It was just not going to happen. I gave birth and did not hit the gym, make Ed some dinner, or even have any feelings towards the little ginger fleshy mess that had just breathed his first breath. Internal alarm bells would have started to chime, if they’d had the energy to do so. I tried to muster some feeling for Sonny, found none, and went to sleep. This feeling of general indifference was joined the next day by complete mental and physical exhaustion which any new parent can relate to. Having 2 hours sleep after 12 hours of quite literally ‘intensive labour’ is likely to have an impact on even Milliband himself, and as I have mentioned before, I suffer terribly with sleep wimpery. A few hours later, and confusion had joined the growing list of unwanted feelings. I was now confused, exhausted and indifferent towards the little purple human. Roll on a couple of days and I was also half mad with anxiety, unable to eat, unable to sleep, unable to stop crying and unable to muster any feelings of love, or even maternal nurture, towards Sonny. Ed and my mother looked after the baby whilst I sat on the couch totally convinced that I was genuinely going insane and was going to die from insomnia, frantically Googling PND. In a perfect example of irony, I had had the previous fortune of having to take anti-depressants and, recognizing some similar feelings, knew that this was the route I was going down, albeit far more dramatically than any experience I’d had in the past. I called my doctor, he wrote the prescription and a couple of weeks of hell later, all was well. What is the moral of this story? What could I have done differently, what would I plan to do differently next time, and what advice would I give to a first time expectant mother? Loads, actually. But this is the most important – listen to the midwife when she tells you about PND. I was so caught up in the joy of being pregnant, so excited to be a Mum that I didn’t listen to my midwife when she talked about PND. Since having it, I found out that as many as 7 in 10 mothers get PND at some point after their babies are born. So it isn’t a minority illness. And it’s not just a few days of sadness- it’s a consuming mental condition that took me away from the first few weeks of Sonny’s life. I still have basically no recollection of the first few days at home. Most awfully though, is the guilt that I feel for not loving him in his first weeks on planet earth. I am always happy to talk about my experiences of PND, so if you want to chat to someone with no medical or professional understanding of the subject, but plenty of stories, then please do email me. I always felt better about it when I reminded myself that other people were going through it too. Thank you for sharing your personal experience with giving birth and PND. It was very brave of you! More moms get it than we realize! And the fact that you were able to call your doctor for help, will encourage other new moms who read this to do the same, given they have access to good medical care. Wishing you lots of rest and TLC! You’re an inspiration. I can totally identify with your story, except in my case it took me a lot longer to get help. I am still not comfortable talking about it but I hope that by reading stories like yours I too will be able to open up about it. Thank you!